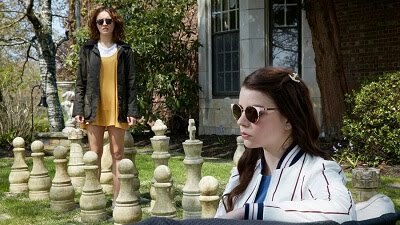 August: Osage County (mixed bag): This adaptation of the popular play features an astounding cast, led by Meryl Streep and Julia Roberts, but it’s not nearly as satisfying or even as it should be. Margo Martindale is the standout player, and it’s the subtler background performances in this loud film that make it most worthwhile. Now playing at AMC Lincoln Square and Regal Union Square. Read my review from yesterday. Nothing to report this week, look for more in January! 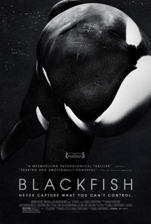 Blackfish (recommended): This finalist for the Oscar Best Documentary field, which arrived on DVD last month, is a strong and powerful look at how killer whales are brought in from their natural habitats and what happens as a result of their captivity. It’s far from idyllic or pleasant, but it’s an important and very good exposé. Food, Inc. (recommended): Watching a handful of the documentary finalists from this year is a fitting tribute to a great film like this, one of the 2008 Oscar nominees in that race. This inside look at the food industry is heavily compelling and disturbing, but presented in an upbeat way that makes it hard not to enjoy, even if what it’s showcasing is far from appetizing. Stand Up Guys (mixed bag): This aging gangster movie unites three Oscar winners – Al Pacino, Christopher Walken, and Alan Arkin – and follows their adventures on one action-packed night in an uncreative, unmotivated film that is generally endearing but unexciting. For more about the film, read about the Q & A I participated in with director Fisher Stevens.